transform your life. Download it free, as my gift. Right Click to Download and Listen Now. on their iPod or iPhone, at the push of the button. I’ve been selfish with my MP3 downloads. one click away to install on your MP3 player. than the standard newsletter content. during miscellaneous lectures I gave from 2002-2012. The Secret, movies, and of course some handwriting analysis discussions. smartphone or MP3 player near. them during the week they are released. NLP and Transformation – Recorded in India. to more success and happiness in life. recorded live in Bangalore during December 2004. 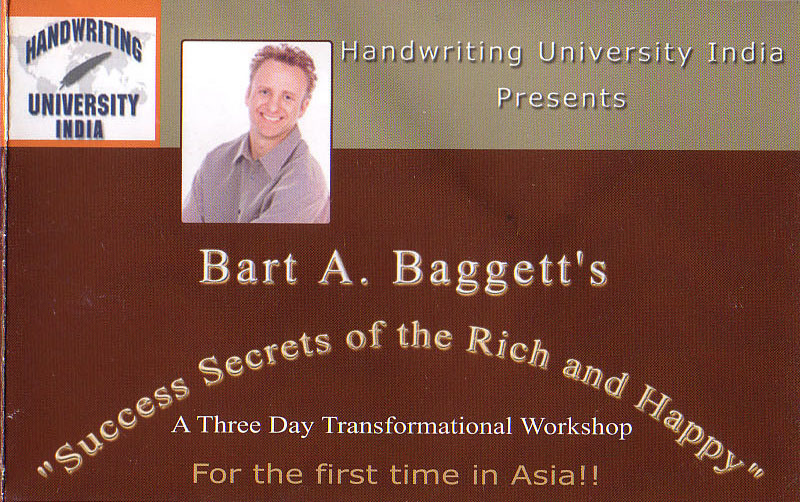 Listen in to this 9 minute clip of Bart Baggett, Author of the Success Secrets of the Rich & Happy as he explains to a sold-out audience in Pune India the secret of personal transformation. 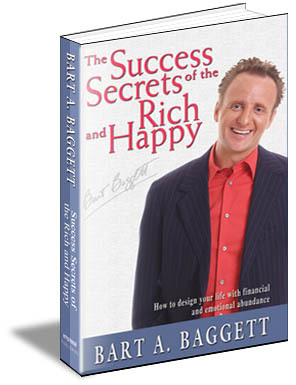 Success Secrets of the Rich & Happy Habits and Neuron-Conditioning.• Areas of self-esteem. • What is N.L.P and how does it help you change your life? • How Bart mentally thought himself into his first movie role. • How to overcome fears and phobias. • The secrets to manifesting all of your heart’s desire. • The basis of Grapho-Therapy. • What gets wired together, get’s fired together. • The power of language and linguistics in your own self-talk. • How language can keep your kids from falling from trees. • How to use language to improve the success of your kids. • The power of the word “try” and why you should not use it ever again. • How to make people like you; the process of building rapport. • When Bart met Merv Griffin and shared stories about Ronald Reagan. • How to think bigger, achieve more. 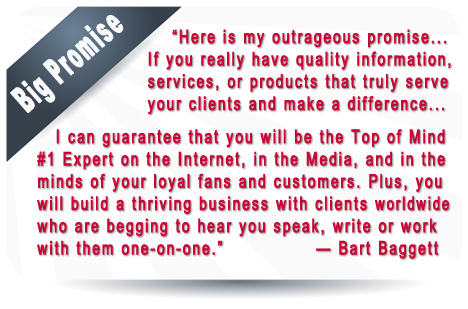 Download now Bart Baggett’s classic 400+ page book now on Kindle or PDF or softcover . Order Now. If you like the seminar, please download the kindle book or order the paperback from Amazon.com and leave a positive review. more of what you want in life. This file will be at this link all week, download it today. Fee $0. through being a speaker, author, expert or life coach? 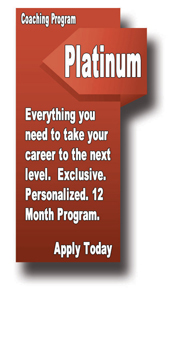 and jumpstart your success as a teacher of ideas and life-changing information.